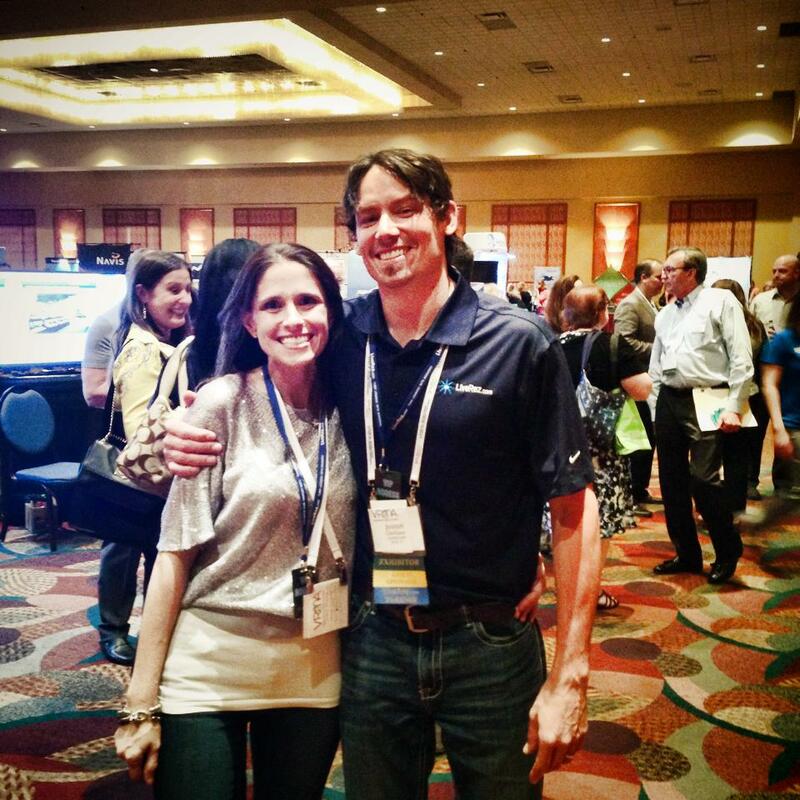 LiveRez's Juston Clarkston with LiveRez partner Lyndsey Garza of PointWest Properties. LiveRez would like to thank all of our amazing partners who came out in force for the 2014 VRMA Eastern Seminar. For those partners that couldn’t make it, here’s a brief recap. This year’s conference set a new record for attendance, with 502 attendees. By our calculations, LiveRez was once again the software most used among seminar attendees. Monday morning LiveRez spoke before a packed crowd during its Gold Sponsor speech. Monday night LiveRez hosted a highly-attended March Madness Viewing Party. And we hear that a good time was had by all. On Tuesday, LiveRez Director of Partner Success Sharon Clark led a panel on Overcoming the Challenge of Difficult Guests and Owners. LiveRez partners Justin Ford of On the Water in Maine and Jennifer Kitts of Carolina Beach Realty joined Clark on the panel. Once again, LiveRez was the winner of the VRMA’s coupon code competition, which goes to the vendor that attracts the most signs up to the conference with its coupon code discount. And just for fun: How did LiveRez Director of Sales and Marketing Tyler Hurst warm up for the Eastern Seminar? 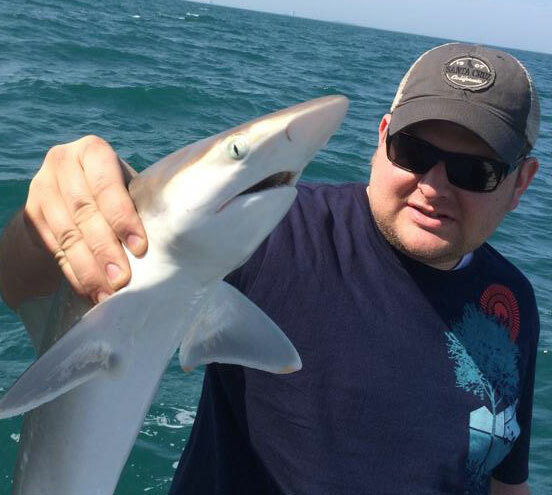 He caught a shark! LiveRez's Tyler Hurst and the Catch of the Day. Don’t forget, there is still time to sign up for the VRMA Western Seminar that is coming up later this month. For more information and to get our coupon code for $100 off your registration, see our Guide to the Regional Seminars at the LiveRez Blog.